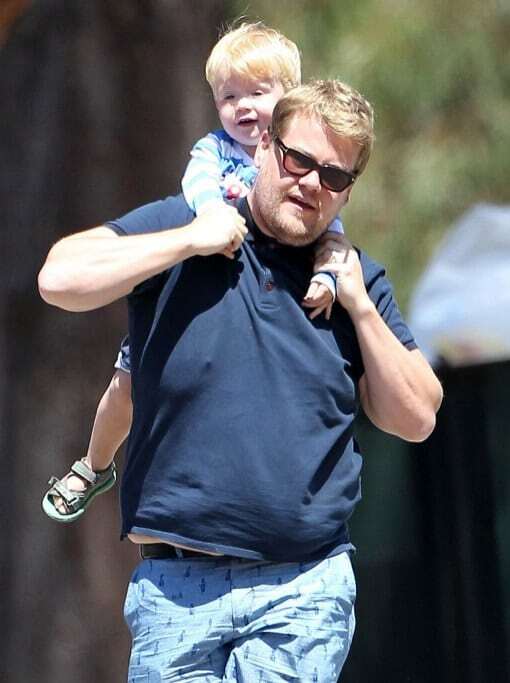 Carrying his son Max on his back, James Corden is the epitome of the proud father. Although he hails from England, James has become quite popular in the US as the host of The Late Late show – but it is obvious that fatherhood has become James Corden’s most important job. The 39-year-old actor was pictured enjoying a walk in the sunshine with his eldest son Max, who he shares with his lovely wife, Julia Carey. Julia is a TV producer and former actress and has been the driving force behind Jame’s career since they met back in 2009. They have three children together.